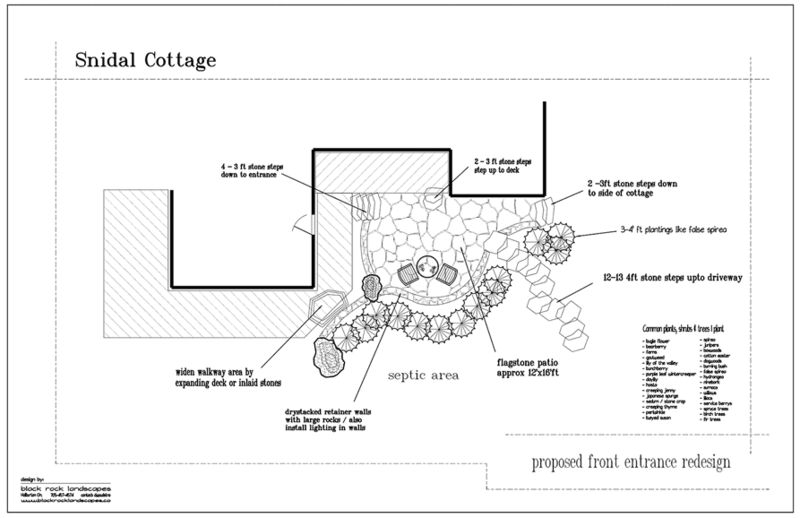 The first stage to designing a great landscape plan is to come up with a concept that works. There are many elements that determine a good design, such as slope, views, practicality, nature, etc. We spend a lot of time with our clients to ensure their ideas and needs are met in the final design. Existing house drawings (as shown), sketches and photos are also great tools which help in the final process. Once we have come up with a concept that works, we will proceed with the design process and start by taking accurate measurements of your property so we can make a computerized drawing to scale. A design/drawing for your property is invaluable, especially on larger projects. They can help determine how things will flow from the house to areas around the property. A drawing is essential to planning drainage, electrical, lighting, your sitting areas, steps down a hillside, tree/plant placements and other elements you may want to include in the future. We also provide site plan drawings so you can get an overall picture of where your house or cottage will be located before the building process even begins. Another important thing to consider is that a landscape plan also shows you exactly what you're paying for. The construction process begins once the client signs off on the design. Our team of professionals will provide you with the best service available in the industry and we stand behind everything we do from start to finish. We take great care to ensure that all safety procedures are followed on the jobsite and we are fully insured and covered by WSIB. 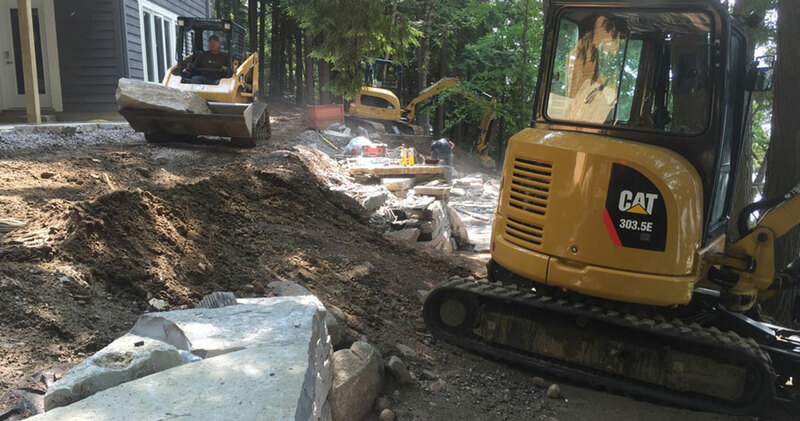 As the construction gets underway, we will provide you with pictures and email updates so you can be confident the project is proceeding as expected. Our methodology behind our work has always been that over-kill is good and we take that to heart on every project we do. That is why we guarantee all our stonework. So, you can be confident that it will be done right the first time and enjoy it for a lifetime.